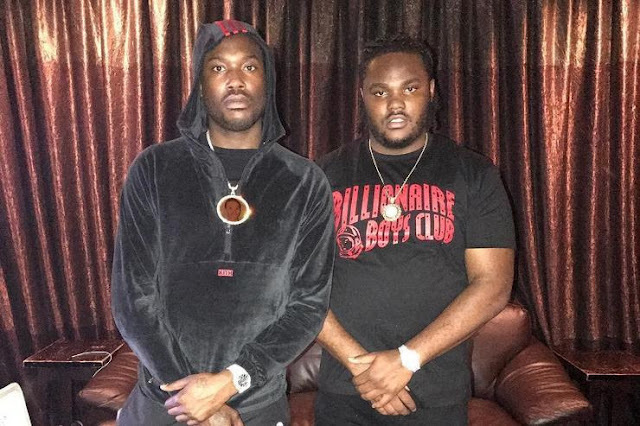 Rap's biggest break out star, Tee Grizzley gifted fans with a surprise remix of his hit single, "First Day Out" featuring Meek Mill. Following the release of his latest single, "Colors," Tee's "First Day Out (Remix)" comes just a day after the Philadelphia Eagles celebrated their big Super Bowl LIIvictory in their locker room partying to Meek's classic record, "Dreams & Nightmares." Everyone from LeBron James toGabrielle Union rejoiced in the support shown for the incarcerated Philly native with "#FreeMeek" tweets last night. This isn't the first time Tee and Meek have collaborated on a record, last fall the two teamed up for Tee's highly anticipated "Beef" record. Take a listen to Tee Grizzley's "First Day Out (Remix)" featuring Meek Mill below. Also, be sure to check out Tee Grizzley's newest single, "Colors." ACTIVATED on the way!